Saraki while reacting to the incident described it as "unwarranted harassment of the statesman" who is known for being very vocal in expressing his views on national issues and stated that the incident must not be allowed to be covered up without the public knowing all the details, particularly concerning who gave the order, who signed the police search warrant, which officers executed it and what objective was it meant to serve. "Chief Edwin Clark, a Second Republic Senator, a former minister under the General Gowon administration is not just anybody. Yes, he is not above the law. If there is a genuine reason for his home to be searched by law enforcement agencies, nobody will object to it. However, as it now appears, for the Police to conduct a raid on the home of a man of that age on the pretense that they were looking for arms and eventually, the claim turned out to be a hoax, then something must be amiss. "This type of action by the Police coming at this time when the nation is preparing for election is not reflecting well on the country. Such actions constitute a threat to democracy. They represent a gross abuse of state institutions. Now that the Inspector General of Police has denied that the raid was never authorized, the next move should be a thorough, transparent investigation into the Senator Edwin Clark incident to prevent future occurrence. "This kind of ugly development must stop. This country experienced a peaceful change in 2015 because the government in power allowed democracy to work. If the government had allowed the flagrant abuse and misuse of state institutions to be the norm, we would not have had the change that occurred", he stated. 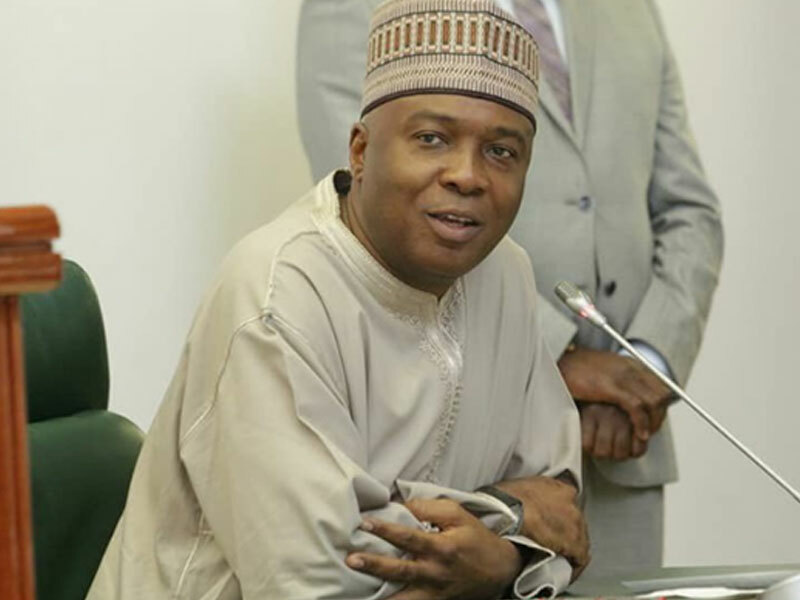 Saraki reminded the government of its recent commitment to world leaders on the need to create a peaceful and conducive atmosphere necessary for a credible, free and fair elections where citizens can freely exercise their franchise, devoid of intimidation, suppression, and abuse of their fundamental human rights. He noted that incidents like the one in the home of Chief Clark is in conflict with the promise the government made to these world leaders. "Democracy is not only about elections. Circumstances that will create tension in any part of the country or make people feel that their fundamental human rights are being trampled upon should be avoided. If a man of the caliber and status of Senator Edwin Clark could suffer such unwarranted raid on his home, then what happens to ordinary Nigerians as we move towards the 2019 polls and beyond? ", he asked.